Great Britain ranks number one as the startup capital of Europe. 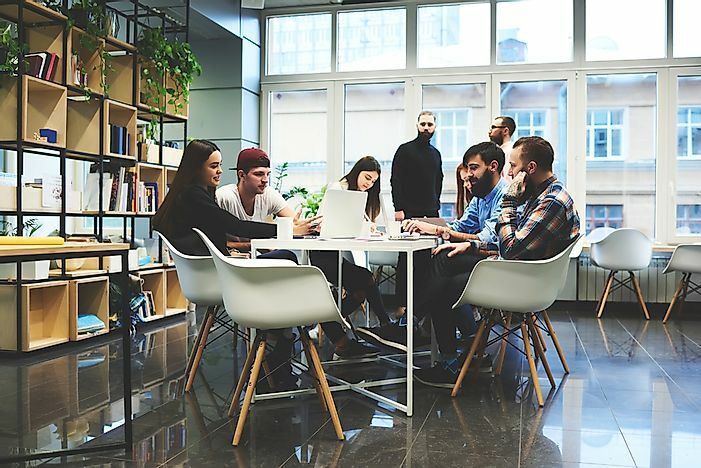 Startups are emerging as a new popular type of workplace. Europe is home to a thriving startup environment, and one of the best in the world. Many of these startups turn out to become global companies with billions of dollars in revenues. In 2016, Statista, an online-based research company released a report which highlighted the seven best countries in Europe for startups where the threshold used is the volume of investments the startups received between January and June of the year. Great Britain was the best country in Europe for startups in 2016 where British-based startups received 2.194 billion Euros in the 2015-16 financial year, a sharp increase when compared with the 1.4 billion Euros reported in the 2014-15 financial year. The UK’s conducive environment has enabled startups to thrive despite the skepticism that Brexit caused to the investors and venture capitalists. British capital, London alone received about 1.3 billion Euros over the same time period, making the city, the startup capital of the United Kingdom. Sweden came in second place in the report of best European countries for startups where startups in the country received 1.048 billion Euros in the first half of 2016. For comparison, in the same period in 2015, Swedish startups received 872 million Euros in investments. These findings were not surprising considering the startup environment in the country has contributed to the rise of huge billion-dollar global companies such as Truecaller, Skype, Spotify, Mojang and Tictail among others. Despite coming at third place, Germany had perhaps the worst year for its startups yet. The report showed that startups in Germany received 957 million Euros in the first half of 2016, compared to 1.985 billion Euros received by Germany-based startups between January and June 2015, a 1.028 billion-euro decline. Germany was, therefore, the only country on the list which posted a decline of startup investments during the financial period. In the first half of 2016, Berlin had the highest cumulative investments for startups in any European city. However, the city performed poorly in first six months of 2015, with 520 million Euros and was surpassed by London, Stockholm, and Paris to come at fourth place. France startups received 954 million Euros in investments between January and June 2016, making France the fourth best country for startups in Europe. France had improved the total investments received by startups from 759 million Euros reported in the same period in 2015. The capital city, Paris performed even better with 673 million Euros of investments to startups, the third highest in European cities. Spain was the fifth best country for startups in Europe in the first half of 2016 when startups in the country received 248 million Euros in investments, an impressive improvement from the 60 million Euros startups received the same period in 2015. Madrid led other Spanish cities in some investments given to startups with the startups in the city receiving 149 million Euros. This has led to the growth of huge successes such as Busuu, Minube, and Typeform. Ireland had the sixth largest amount of startup investment of all countries in Europe with startups in the country receiving 238 million Euros in the first half of 2016. The country had improved from the 69 million Euros startups in Ireland received in the same period in 2015. In Ireland’s capital, Dublin startups received a cumulative investment of 69 million Euros. Netherlands completes the list of the seven best European countries for startups. Between January and June 2016, startups in Netherlands received a total of 299 million Euros, an improvement from the 49 million Euros startups received in the same period in 2015. Naarden also posted impressive amounts of investments to startups totaling 88 million Euros. All the above countries have established policies to improve the startup environment in the respective countries further. Germany is also expected to step up from its poor performance while the Great Britain will aim for more venture capitalists both locally and internationally to retain the top spot.